Clarifi has great industry experience and low fees but is only available in a few states. Additionally, the average interest rates are unknown. Clarifi was founded in 1966, making it one of the oldest companies on our list. It focuses on providing information, counseling, and reliable advice to help meet the financial goals and challenges. Clarifi stands out from other companies because its debt counseling program seems to go above and beyond what other companies offer. However, there are still questions surrounding the interest rates on those programs, the up-front fees, as well as if a refund or money back guarantee is provided. Clarifi offers reasonable fees for its services, and certainly brings more experience to the table than most companies in the industry. What stands out to us, however, is how comprehensive its debt management programs are. The programs provide advice, counseling, and assistance in everything from financial education to housing, and food programs. This is above and beyond what is expected, even offering courses for single mothers. Clarifi also offers a free consultation to determine if the potential client could benefit from its services. A certified counselor will help assess each financial situation and help clients prepare a budget plan that will work for their unique financial needs. In addition, a counselor will assist in creating an action plan to help clients prepare for the future. The counselor will determine which of the programs, if any, would be most beneficial. A debt management program can be created regardless of how much or how little debt has been accumulated. The plan is aimed to get monthly payments on credit cards and other types of unsecured debt lowered, reduce or eliminate late and over limit fees, and lower interest rates. As a non-profit community resource they never turn away clients because of an inability to pay. Along with the impressive debt management programs, is also accredited with the NFCC, both an indication of its commitment to sound business practices and resolving customer concerns. They also provide certified counselors to assist throughout the process. We were also pleased to find that even though it has a long time in business, Clarifi never seems to have run afoul of the law or been named in any lawsuits. One of the most glaring problems with Clarifi is services are limited to consumers in DE, NJ, and PA. Not all consumers are eligible in those states as they only serve specific counties within the geographical region. This greatly limits the potential clients who could benefit from Clarifi’s services. Another drawback with Clarifi is the number of things that are simply unknown about the service. The average interest rates on its debt management plan, the up-front fees, and the refund policy would be helpful to know for those seeking to compare total costs between companies. This lack transparency can make it difficult for potential customers to decide to work with Clarifi. Additionally, it is unclear what refund policy is offered, if any. We like to see it when companies offer some type of money back guarantee so that if a consumer feels dissatisfied with the service, he or she can look elsewhere without a huge loss. Clarifi has helped thousands of individuals and families since 1966 and if there is difficulty getting or staying out of debt long term, Clarifi might be a good option. Assuming consumers live in the serviced areas, a broad-spectrum of group classes and other community events are available to help get anyone where they need to be, and we recommend taking full advantage of these workshops. 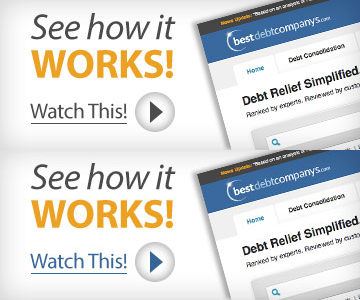 It seems to provide a good service with competent and comprehensive debt counseling. However, with the lack of transparency, we cannot recommend working with Clarifi at this time. With 50 years of experience, Clarifi is a well established non-profit organization that is focused on promoting financial literacy. They offer professional certified counselors to counsel customers about credit reports, debt management, housing, college planning, student loans, and bankruptcy. With Clarifi’s debt management program, they provide authentic debt consolidation by helping customers negotiate lower interest rates across all of their unsecured debt while allowing customers to consolidate all of their debt into one affordable monthly payment. Clarifi also provides several educational resources like workshops, bankruptcy education, and DIY money boot camps. Clarifi is a nonprofit organization, and for years has been able to offer most of their services at no cost through using grants, state and federal funding. Recently, they have had to change their fees due to the competition of this funding to other companies. Clarifi will never turn away clients because of an inability to pay. If your income falls below certain guidelines, your counselor has the ability to waive or reduce service fees. There are certain guidelines for waiving fees. This link will take you to 2014 federal poverty guidelines to see if you may be eligible for waived fees. Many of their educational programs are offered at no cost to you. Some housing counseling is provided at no additional cost. Reverse mortgage counseling has a fee of $100. For individuals who enter into their debt management plan, $10 per creditor up to $50 monthly maintenance fee. Credit report counseling, has a fee of $65 for an individual and $75 for a couple. Pre-filing bankruptcy counseling clients are charged a fee of $50. Personal financial management after bankruptcy is also a fee of $50. Student loan counseling has a fee of $125, and if interested in starting college planning it is $195. No. You can access Clarifi.org on your mobile device, but there is not a mobile- specific website or app at this time. Clarifi can be found on popular social media such as Twitter, Facebook and Youtube. For debt management clients, there is a text-based savings program. Great way to use your phone and save money. Unsecured. Clarifi will help clients consolidate loans for unsecured loans only. Yes a free consultation is provided. A money-back guarantee or refund is not published on their website at this time. Clarifi was founded in 1966, and was previously named Consumer Credit Counseling Service of Delaware Valley (CCCS). In January 2012 the name changed to Clarifi. There are fees attached to most of the services provided by Clarifi. This link will take you to the updated service fees. Customer service can be reached by phone or email. You can also request information through their website with the request information feature. Customer service representatives are happy to assist you in your questions, and to help get you an appointment scheduled. Clarifi offers a number of services including financial counseling with a certified credit and housing counselor, offer workshops to help educate both adults and youth in building a strong financial foundation, helping clients seek help with other resources they know of, and helping clients to enroll in debt management plans. Clarifi has a lot to offer and is ready to help those that are seeking lifelong financial literacy. Clarifi offers a range of proactive financial education programs that provide relevant and timely information to best address the individual needs of our clients and their communities. Clarifi delivers education in a variety of ways trying to meet the varying needs of their clients. You can attend a public workshop, or at the request of a business they will do in-office workshops. These financial smarts workshops are to help teach clients the ‘smarts’ needed to make informed decisions regarding personal finance. Topics include having good credit, saving and spending, guarding yourself against ID theft, mobile banking, understanding your credit report, reducing debt and more. There are also topics that hit on specific groups such as youth financial education, senior financial education, workshops for women, and bankruptcy education. One can find what workshops are being offered by looking at the education calendar on clarify.org. There is not a minimum debt required.